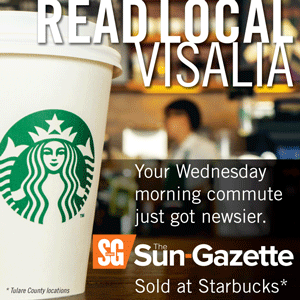 VISALIA – Construction to widen and improve one of Visalia’s busiest and most congested intersections began on Monday, July 9. Work to improve major intersection began July 9. Lane closures will continue through October. Photo by Reggie Ellis. The first phase of the $3.8 million project will focus on shoulder and utility work resulting in lane closures Monday through Friday, 8:30 a.m. to 4 p.m. This phase is expected to continue through mid-October. The entire scope of the project will make improvements to the intersection for at least 400 feet in every direction which will include widening, upgrading the railroad crossing, replacing the signal lights, pedestrian and handicap accessibility upgrades. It also includes installing new conduit and fiber optic cable beneath the intersection which will connect to Ferguson Avenue. That connection will eventually provide real time information to assist with the overall traffic management along Demaree. Between September and November, traffic will be reduced to one lane of travel at all times. 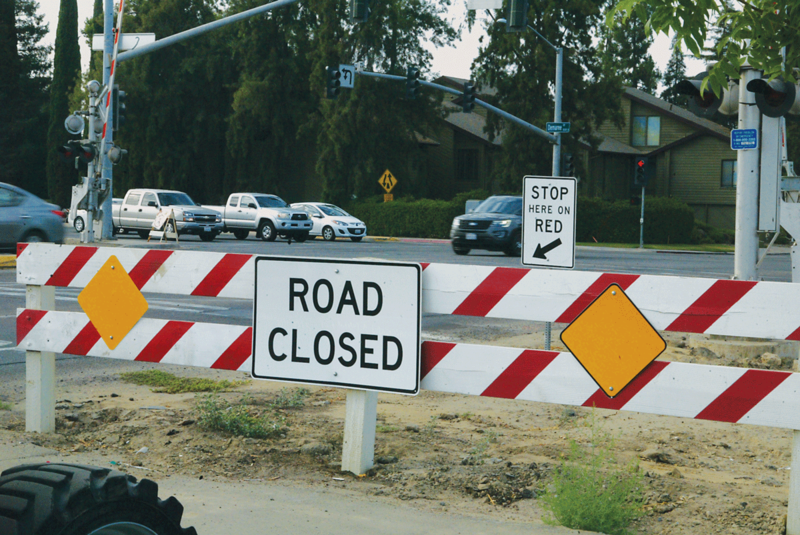 The westbound lanes of Goshen and both north and southbound lanes of Demaree north of Goshen will be shut down for five weeks. Northbound traffic would be detoured to Akers Street or Mooney Boulevard. To stay informed, sign up for mobile alerts by texting “goshendemaree” to 662-200-4303; visit the Goshen-Demaree Facebook page; or check the City of Visalia’s web site, www.visalia.city. For 24-hour contact during construction, call contractor Avison Construction at 559-718-1546.